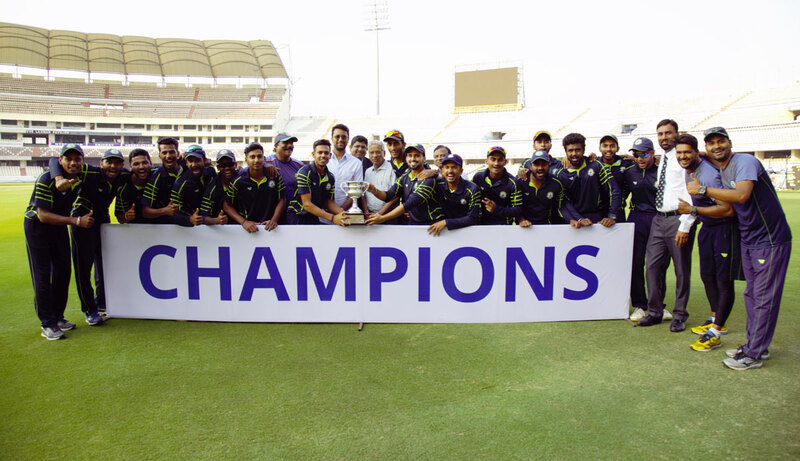 THIS IS TO INFORM THAT THE BCCI UNDER 23 ONE DAYER FINAL MATCH BETWEEN DELHI AND VIDHARBA FOLLOWED BY PRIZE DISTRIBUTION FUNCTION WILL TAKE PLACE AT UPPAL STADIUM, HYDERABAD ON 15 MARCH 2019. 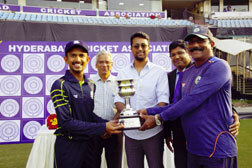 SHRI PRGYAN OJHA, TEST PLAYER, HAS KINDLY CONSENTED TO BE THE CHIEF GUEST. WE CORDIALLY INVITE YOU TO ATTEND THE SAID FUNCTION AND MAKE THE EVENT A GRAND SUCCESS. THIS IS TO INFORM THAT AN OPEN SELECTION FOR WOMEN UNDER 23 CRICKET PLAYERS WILL BE HELD ON SUNDAY THE 10-03-2019 . AT HCA RAJIV GANDHI INTERNATIONAL CRICKET STADIUM UPPAL ,HYDERABAD FROM 10.00 AM TO 5.30 PM ON SUNDAY TO SELECT HCA WOMEN`S U-23 STATE CRICKET PLAYERS TEAM FOR THE FORTHCOMING DOMESTIC TOURNAMENTS. PLAYERS ATTENDING THE SELECTION TRIALS SHOULD BRING THEIR ORIGINAL/BONAFIDE DATE OF BIRTH CERTIFICATES ALONG WITH COPIES FOR VERIFICATION AND RETURN. THE SALE OF TICKETS FOR THE FIRST ONE DAY MATCH BETWEEN INDIA AND AUSTRALIA TO BE HELD AT RAJIV GANDHI INTERNATIONAL CRICKET STADIUM, UPPAL, HYDERABAD, HAVE BEEN ARRANGED THROUGH RETAIL COUNTERS AT GYMKHANA GROUND SECUNDERABAD FROM THURSDAY 21ST -FEB -2019 11.00 AM TO 5.00 PM. THE REDEMPTION OF TICKET WILL BE COMMENCE FROM SATURDAY 23RD -FEB-2019 FROM 1100 AM TO 5 PM AT GYMKHANA GROUND SECUNDERABAD. 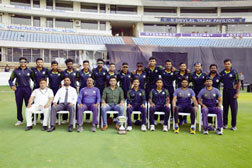 HYDERABAD TEAM FOR MUSHTAQ ALI T20 TOURNAMENT. SALE OF TICKETS IN RESPECT OF THE ONE DAY INTERNATIONAL CRICKET DAY & NIGHT MATCH BETWEEN INDIA AND AUSTRALIA TO BE PLAYED AT RAJIV GANDHI INTERNATIONAL CRICKET STADIUM, UPPAL, HYDERABAD ON 2nd MARCH 2019 WILL BE AVAILABLE ONLINE FROM 11TH FEBRUARY 2019. TENDER NOTIFICATION FOR CATERING SERVICES FOR POLICE PERSONNEL DURING INDIA v AUSTRALIA ODI IN MARCH 2019. TENDER INVITATION FOR DIVERSE SERVICES FOR INDIA v AUSTRALIA ONE DAY INTERNATIONAL MATCH TO BE PLAYED ON 02-MARCH-2019. 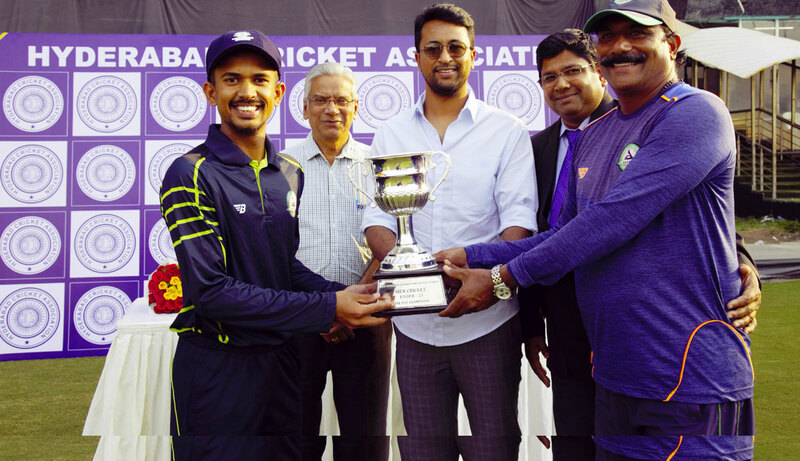 The Hyderabad Cricket Association is conducting One Day Knock Out Tournament For 3-Day's , 2-Day's Division League Teams including Telangana Districts from 21st Jan 2019 at various grounds. Teams having the grounds may make sure that their grounds be prepared for the matches; it should be ensured that registration for the knock-out tournament to be completed by 19-01-2019 (Saturday) at RGICS, Uppal by 5:00 pm. It has been brought to our notice that a tournament EEANDU CUP FOR WOMEN is Scheduled to be played in Hyderabad. Kindly note that BCCI has not approved this tournament. 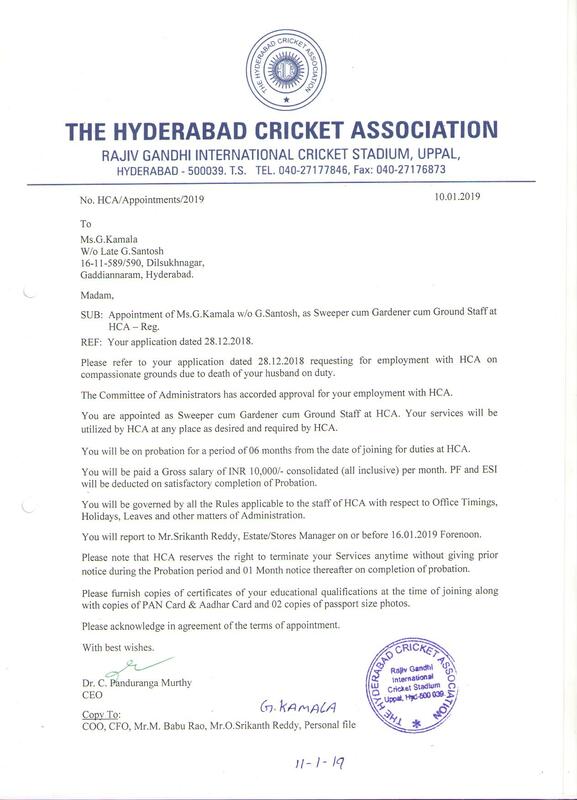 NEW MEMORANDUM OF ASSOCIATION OF HYDERABAD CRICKET ASSOCIATION REGISTERED ON 22-09-2018. Senior Womens trial matches to be held from 8th to 10th Nov 2018 at Gymkhana & Uppal grounds. IMPORTANT INFORMATION FOR ALL MEMBERS AND STAKE HOLDERS IN HCA. All the stake holders such as Members of the association, Players, coaches, umpires, scorers, etc., may kindly note that the Apex Council shall govern the affairs of the association directed by the honble Supreme Court and no single individual had the unfettered powers. For all the BCCI/HCA matches, tournaments, leagues etc., the teams/players named and sponsored by the Apex Council, HCA alone and only be recognised. 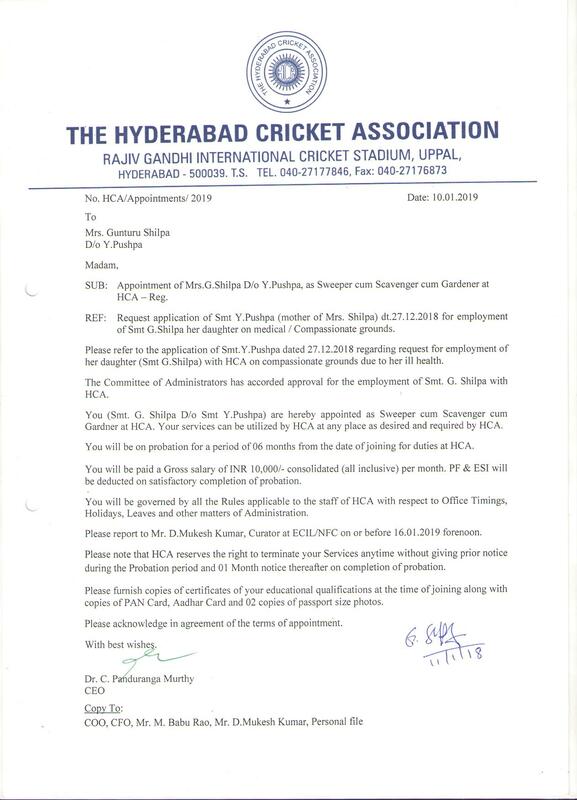 Apex Council / Hyderabad Cricket Association. Mr. Ambati Rayudu Hyderabad Captain and Member of India ODI team has decided to retire from longer version of the game including Ranji Trophy (multi day) to focus on limited overs cricket and T20 cricket. He will continue to play international and domestic matches of shorter version. He has thanked BCCI, Hyderabad Cricket Association, Andhra Cricket Association, Baroda Cricket Association and Vidhrabha Cricket Association in his mail. HCA wishes him all success in his future endeavours. 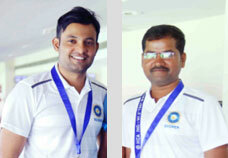 ON BEHALF OF HCA, WE ARE VERY HAPPY TO ANNOUNCE THAT MR. MOHD YOUSUF AND MR. K SRIHARI CHARY, SCORERS FROM HCA THEY HAVE PASSED BCCI ONLINE SCORING EXAM WHICH WAS HELD AT NAGPUR ON 20th SEPTEMBER 2018. Hyderabad Team defeated a strong Andhra side in a dramatic nail biting match by 14 runs in the quaterfinals of the VH One Day tournament. In Semi-Finals-1 of Vijay Hazare Tournament 2018 Hyderabad team lost to Mumbai on VJD system. 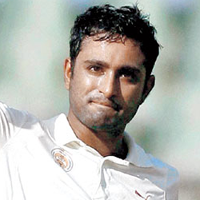 Rohit Rayudu 130 (130b, 11x4, 3x6) was the highlight of the match. 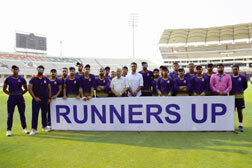 It was unfortunate that the match was stopped half way through Mumbai innings. 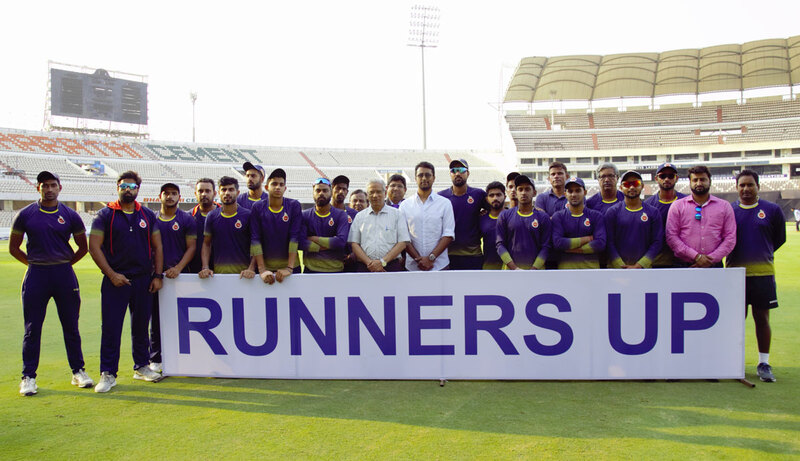 Well done Hyderabad boys. 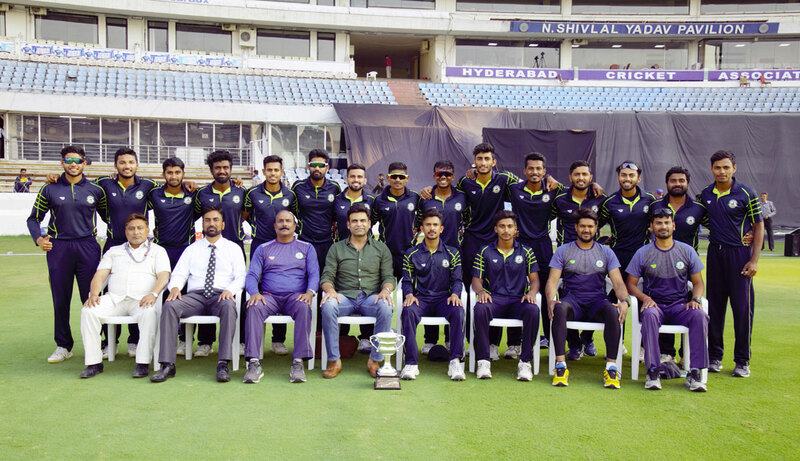 COL CK NAYUDU TROPHY 2017-18"
The President and members of Apex Council while congratulating the Hyderabad U-23 for the Stupendous victory over Saurashtra U-23 team today at Gymkhana, were pleased to announce CASH REWARD of Rs 50,000/- to each member of Hyderabad U-23 Team. "ALL INDIA BUCHI BABU INVITATION TOURNAMENT 2017-18"
"ALL INDIA MOIN-UD-DOWLA GOLD CUP TOURNAMENT 2017-18"
The Members and staff of The Hyderabad Cricket Association deeply regret to inform the sudden demise of our curator Late Shri.D.Gopal Rao who passed away this morning at the age of 79 years due to massive cardiac arrest. Late Shri D.Goapl Rao served the HCA for more than 40 years with utmost sincerity and dedication. 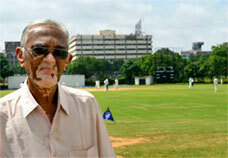 He was instrumental in the preparation of wickets and ground at RGICS when the stadium was built. He was associated with many legends of Hyderabad cricket association like Late Mr.Ghulam Ahmed, Late Mr.M.L Jaisimha, Late E.D.Aibara, Mr.Surender Reddy, Mr.P.S. Rammohan Rao, Mr.P.R.Mansing, Mr.N.Shivlal Yadav and Mr.Arshad Ayud to name a few. He took over from Late Shri. Venkatswamy, who was the curator at LB stadium, from where the HCA office was functioning then. Late Shri.D.Gopal Rao played an important role as a curator, post LB stadium days, in the preparation of sporting wickets both for BCCI domestic matches at various locations as well as all the International matches played at Hyderabad. The members and staff of The Hyderabad Cricket Association offer our deepest condolences to the near and dear ones' of Late Shri.D.Gopal Rao and place on record his immense contribution and services to our association.